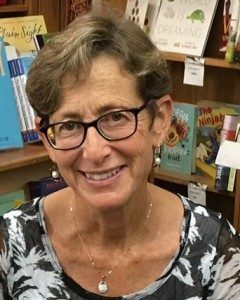 Join us as we present the Crystal Kite Award to our region’s own Debbie Levy for her picture book biography, I Dissent: Ruth Bader Ginsburg Makes Her Mark! 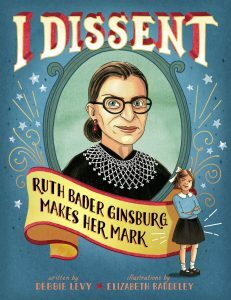 Debbie Levy will talk about writing her best-selling picture-book biography I Dissent: Ruth Bader Ginsburg Makes Her Mark. 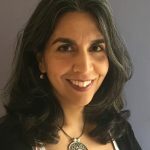 She’ll share little-known anecdotes, big-picture issues, talk about why she thinks RBG is a great role model for readers of all ages, and discuss the delights and challenges of writing about RBG. Politics & Prose bookstore will be on hand selling Debbie’s books and a signing will follow the presentation. This program is co-sponsored by Montgomery County Public Libraries and the Society of Children’s Book Writers and Illustrators MD/DE/WV Region. Before starting her writing career, Debbie was a newspaper editor with American Lawyer Media and Legal Times; before that, she was a lawyer with the Washington, D.C. law firm of Wilmer, Cutler & Pickering (now called WilmerHale). She has a bachelor’s degree in government and foreign affairs from the University of Virginia, and a law degree and master’s degree in world politics from the University of Michigan. Besides writing, she loves to kayak, boat, and fish in the Chesapeake Bay region, swim, bowl duckpins, and tramp around the woods. And, of course, she loves to read. Moderator: Meera Trehan, author and attorney. After attending the University of Virginia and Stanford Law School, she practiced public interest law for over a decade before turning to creative writing. Her work for children has been published in various magazines.